The name „Auris“ comes form Latin and it means gold. And it was definitely a good choice, as the Auris is Toyota’s best selling car in Europe. It’s a compact hatchback that was introduced back in 2006, the second generation competing with the Volkswagen Golf. the Opel Astra and the Ford Focus. In Japan, however, it’s considered a medium size car that is generally very good for out of the city road trips. It comes with loads of engine options and to be frank, they are all good, but some are better than others. It comes with three options: petrol, diesel and hybrid. There are also some fully electric models, but they’re not yet released. When it comes to petrol, we recommend the 1.2 L 116 bhp inline 4 cylinder engine. It may not be the most powerful, but it’s not very much way off the top of the line version, not to mention you meet regulations tax almost everywhere around the world. For the diesel version on the other side, you don’t have really too much to choose from. Both 1.4 and 1.6 engines are good, but we would go for the 1.6 as, overall, it’s a better performer. This, of course, being a Toyota, it comes with a CVT transmission and we were expecting the automatic version to be bad. Unfortunately, our ‘hopes’ were confirmed. We don’t know what is up with Toyota, but sooner or later they will have to find a way to fix the clunkiness of their automatic gearbox. The interior of the latest Auris model seems boring, but you do get a lot of options in the standard version, not to mention that the build quality never disappoints. It’s fairly cheap to run, while mileage on the engine models we mentioned earlier is pretty good as well. For the petrol version you get around 6.5 L / 100 km, while the diesel can go as low as 4 L / 100 km, depending on your driving style. Ride quality is about the same as the first generation with the first gen being a little better. 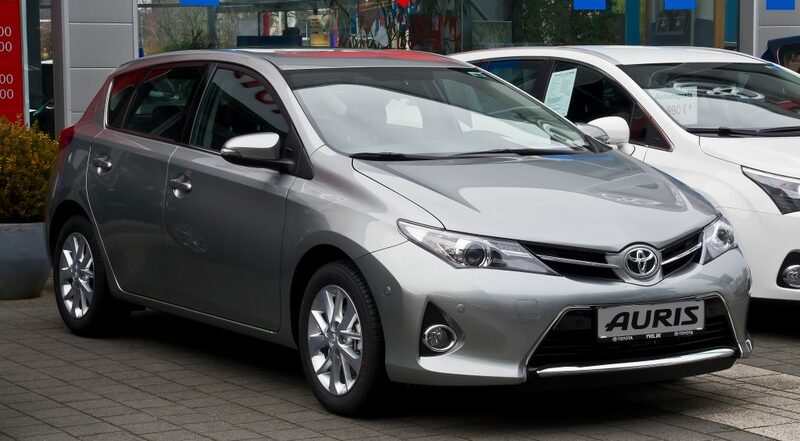 The price of the last generation Auris starts at around $18,000, with fairly good options and in most countries you will get them with a 5 year warranty. This has to be the car’s best strong point against its rivals. The clunky CVT automatic transmission is always a disappointment. The full reality is that it is about 15% better than a regular transmission, but that really isn’t enough. The hybrid system doesn’t seem to be all that good. A base hybrid model starts at around $23,000 and the fuel consumption drop isn’t all that great. So if you want an economical version, stick with the diesel. The interior of the car is extremely boring and uninspired. It’s outclassed by the German rivals and sadly, not even in the exterior department it doesn’t score better. The Auris is a car for the person who just wants a good, reliable Japanese car that can get him from A to B without any worries. Ever since the 5th generation was unveiled, the little Polo was a favorite of many car reviewing communities, ours included. The 2016 variant, despite facing a serious competition from the likes of Mazda 2, Renault Clio, Skoda Fabia or the Toyota Yaris, is pretty much a great all-rounder. A lot of critics were claiming that Volkswagen is offering a car with a relatively short lifecycle, for a premium price, but with the latest generation, the German manufacturer proved that those issues were part of the past now, at least partially. But we’ll get to this a bit later. 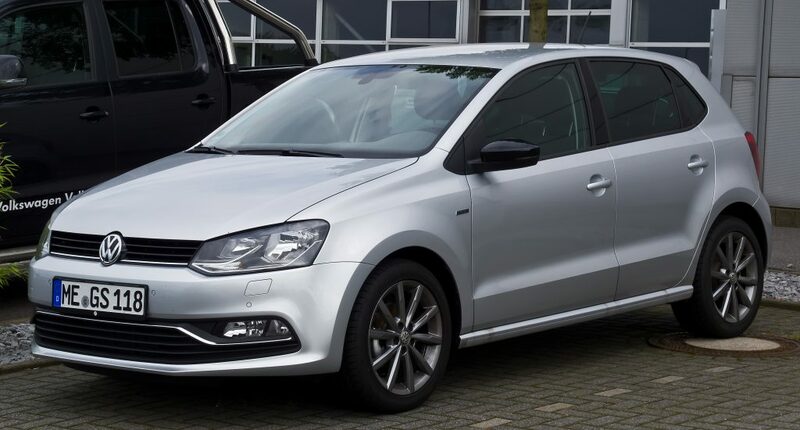 The 1.2 litre TSI engine is by far the best in its class. Despite its reduced size, it’s able to produce 81 Kw starting with 4600rpm and a total of 175Nm, being ablt to reach 100km/h in a decent 9.3 seconds. And the other engine options, are also exceptional! I mean, come on, the Polo GTI is a real pocket rocket! Volkswagen seems to have fixed all those issues made famous by the previous 1.2 TSI models, known for its fault timing chain, which is definitely a big plus for the manufacturer. Just like its bigger brother, the Tiguan, the all new Polo comes with a very comfortable interior, allowing us to say that it can be considered a benchmark for other cars in its category. As much as we loved the Polo for the options it offers, the 1.2 TSI model misses out on standard satellite navigation. If you want to enjoy all the benefits of integrated maps, you need to spend an extra $1900 for the Driving Comfort Package. Sure, it’s worth the money, but on the other side, the same thing can be done by a smartphone. Speaking about extra packages, if you opt for the Sport Pack, which includes 17″ wheels and a lower and stiffer suspension, alongside tinted side and rear windows, and fog lights with cornering suspension, you’ll instantly regret it. We’re talking about the suspension and the bigger rims, of course, which seriously affect the ride’s comfort. We were surprised about the fact the Volkswagen recommends only premium unleaded petrol for the new Polo. The combined cycle fuel consumption is 4.8 L/100 km, but if you’re leaving in a crowded city, you can get even – get ready for this – over 11.5L/100 km. What’s up with that, VW? This car can be pretty expensive to drive! Finally, there’s the servicing. Keeping it short, the Polo is one of the most expensive city cars when it comes to maintaining it, especially if you opt for doing this at your local dealership. For example, a Toyota Yaris will be almost three times cheaper to service for a four-year interval. All in all, despite its minuses, the new VW Polo is a great choice for anybody who wants a nice town car, providing a decent drive and with a fantastic interior. It might not be the cheapest option in its class, but it’s definitely worth the money. The IQ is a statement to what Japan can do when it comes to small things, excluding the legendary BMW Isetta of course. This trend of small cars is actually quite normal in Japan, even though it’s not actually a trend, but more of a necessity. Believe it or not ,kei cars are actually a bit smaller in width than the IQ. This is because the car was designed more for the European market where the cities are not that congested…yet. In 2008, the little IQ received the tittle of Car of the Year in Japan and it’s easy to see why. Aside for being small, the interior space is very comfortable for 2 people. You get a lot of head room and leg room, while the options list is very large. Along with this you get, of course, a very small selection of Toyota engines, the most powerful being the 1.3 L Dual VVT-I, with 98 bhp. However, our recommendation would be the D-4D Diesel engine, with either the manual or the auto transmission. This being a city car, your priority is going to be fuel consumption. Regarding this topic, the IQ does it very well, sipping just 4 liters of diesel every 100 km. Safety isn’t really the first thing that comes to mind when you see the IQ, but during the NCAP testing in 2009, this little bug managed to score 5 out of 5 stars. It comes loaded with airbags, ABS, ESP, Stability Control and many more. Parking is another strong point. Because the car is like a cube you won’t have trouble parking the car in the city. The ride comfort is very smooth, while the steering lacks feel, but honestly for a small city car that is probably the last thing you worry about. The price of the IQ is actually very high when new. But it does decrease very rapidly on the second hand market. It’s a bit prettier than most of the kei style cars, but not by very much. There is virtually no space in the back. You can take maximum (and we do mean maximum) a small handbag. We guess it’s OK for some lightweight groceries, but get anything more than that you would have to put in on the front seat. We are really disappointed that Toyota didn’t manage to figure this one out when the Smart, another very small car, has way more space for luggage. The automatic transmission is an updated version of the CVT and we saw that it has improved, but we still can’t recommend it. Go for the manual, you will thank us. Even though it’s mostly bullet proof when it comes to the transmission, engine and electrics, you do have to take in consideration that when it will break the repair bills will be quite expensive. We are looking at you, second hand buyers. 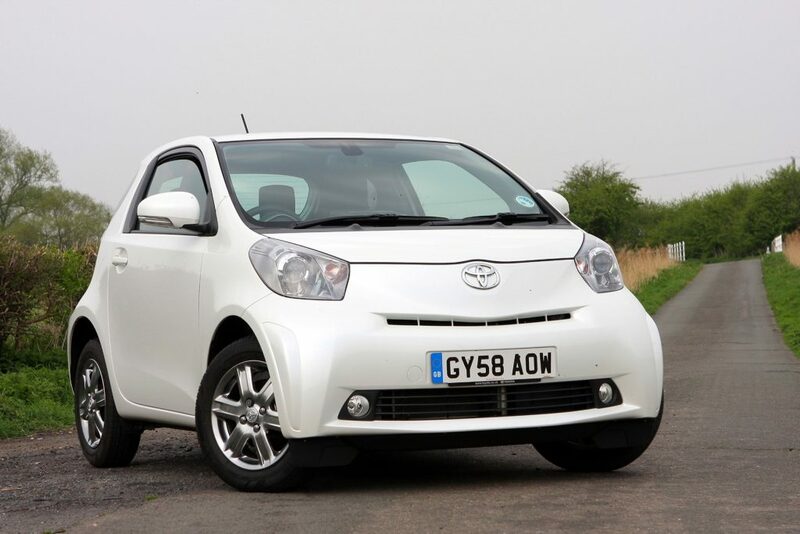 The Toyota IQ is a very smart city car that that we would love to have. It’s ideal for the daily commute, built to last, provides comfort and ride quality and with a 5 star NCAP safety rating, it’s a very safe bug. The Toyota Wish is an inexpensive option for fans of the Prius or Corolla who want an MPV without compromising on function or quality. If you are looking for a vehicle that is comfortable and efficient, the Wish is going to a strong contender. The Wish follows the size and space you would expect from most MPVs without being obnoxious or overpriced. It’s capability to comfortably seat 6-7 passengers—depending on which option you choose—and its smooth operation have made it one of the most popular vehicles in Asian markets. The Toyota Wish is an inexpensive option for fans of the Prius or Corolla who want an MPV without compromising on function or quality. The consensus amongst Wish drivers is that it is ridiculously economic in terms of fuel efficiency. While the estimated fuel consumption for the Wish is seated around 12.8km/L-14.4km/L, most find that they can go above that with no problems. Whether or not that will be the case for all Wish drivers will depend on what options they go with for the engine and transmission, and their own driving ability. Another thing that drivers agree on is that the Wish is a quiet, smooth vehicle. For everyday driving, the engine makes very little noise and the sound insulation inside the cabin is above expectations. Unless you seriously gun-it, changes in gear and speed are so smooth that it almost feels effortless to the driver. It actually makes it a good option for those who want or need that smoother, no-mess vehicle for their day-to-day. The Wish is considered highly reliable and safe for owners. There have been few issues since it was first introduced in 2003 and thus far has been exempt from problems that have plagued Toyota’s other models in recent years. Unless you’re intentionally slamming your Wish into the side of a building or someone else hits you, there really shouldn’t be a need for any additional work on it aside from routine maintenance and repairs. There are also safety features for every seat, so everyone is covered in the event that there is a crash. 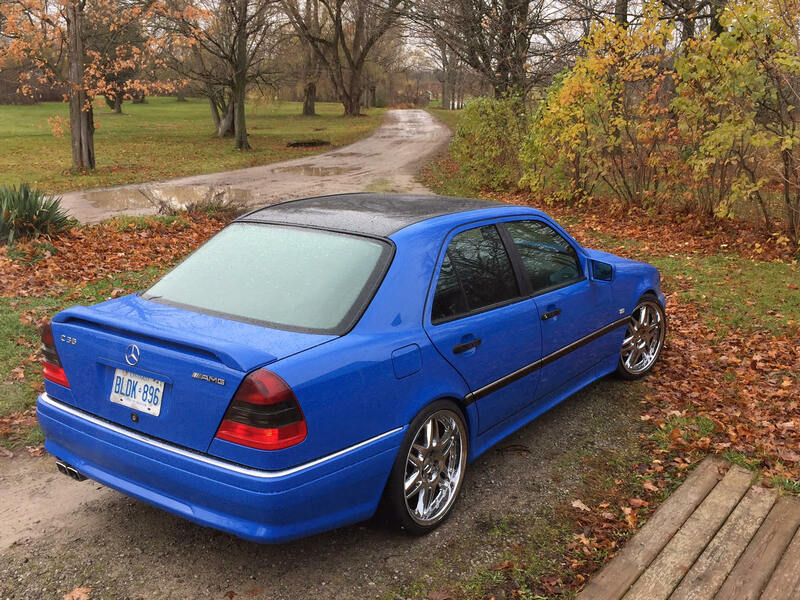 The biggest issue that most Wish owners and drivers have is that the Wish is, stylistically, unimpressive. While the sleek design of the exterior would lead you to expect an equally sleek interior, it’s almost oversimplified and exceedingly practical. Those who are looking for a flashier MPV are going to be heavily disappointed with the Wish. The Wish is a very no-frills vehicle. Part of the intent behind that aspect in the design was for safety—the fewer distractions there are in the car, the more likely the driver will focus on the road ahead of them. It’s a completely reasonable idea, but the limited features available for the Wish can be seen as a deal-breaker for some. Issues of compatibility and local availability also limits the amount of aftermarket features that can be added to the wish. Features that do come with the Wish are entirely perfect, like the air conditioning control which decreases with each row—perfect in the 1st, acceptable in the 2nd, and non-existent in the 3rd. The console—which is a very basic set-up with few of the bells-and-whistles you’d expect from Toyota—is a cheap, plastic contraption in a cheap, plastic dashboard. It’s also slightly outdated regardless of which generation the vehicle is. Upgrades made between the first and second generation Wish were purely localized to the exterior design and mechanics, completely ignoring the vehicle’s interior. Some exterior aspects also seem questionable when taking into account things like design and functionality. The wheels and rims, for example, are disproportionately small for the Wish’s size; the default size sits at about 15”. While the passenger space is phenomenal, the cargo space in the Wish is lackluster. The storage in the Wish is noticeably tighter compared to similar models in Toyota’s repertoire, like the Corolla and Prius. If you need to carry cargo, chances are that you might need to cut into your passenger space to safely accommodate everything without compromising your safety. The Wish strives in being a great A to B vehicle and it does that perfectly. Toyota did not need to improve much in the formula, but why should they? Toyota has delivered an all rounded MPV for the price offered…you get a comfortable seven seater with enough space to haul your entire family along with the family pet in relative comfort and safety (with a full compliment of curtain and side airbags). It has to be said that the new Wish does lack some finesse in interior build quality, but that’s a minor complaint taking into account its price and versatility. That said, the new Wish is indeed worthy of its predecessor’s glory. The Wish on the other hand, is a practical car and is generally well accepted by all workshops. The dated engine and gearbox design might be a turn down, but it is a proven power plant which is known for its reliability. The Wish might be officially late to the MPV party but it still offers a convincing package. It works well in the most important areas – utility and practicality. It might not be the best to drive or the best performer out there, but it certainly works well as a practical people carrier.